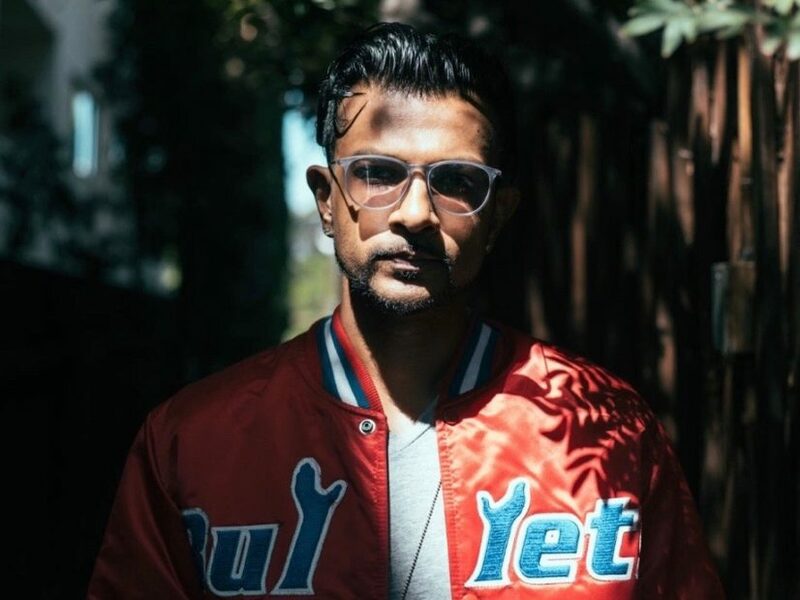 Utkarsh Ambudkar Talks The Beatards, Hip Hop's Influence & Live-Action "Mulan"
Utkarsh Ambudkar is, perhaps, best known as “that guy.” You’ve seen him, you’ve heard him, and you’ve even recognized him in a hipster coffee shop — but you can’t necessarily call him by name. But while the native Baltimorean and former MTV Desi VJ is best known for his acting work, he credits his time with the Hip Hop collective, The Beatards, for his successful career today. Utkarsh, who currently plays Raj on the sitcom Brockmire, paid his rap dues on the streets of New York. He started out at the Nuyorican Poets Cafe, then began showing up to every open mic that he could find on the island of Manhattan. When he linked up with Chuck Wild and DJO, they formed a collective known as “The Beatards,” and they got to play with Santigold, LMFAO, G-Eazy, Moby, and Questlove, just to name a few. “We even opened up for Public Enemy on Flav’s 50th birthday,” he said, adding that he still finds the opportunity to spit bars whenever he gets some downtime. When pressed for more details about his work in the upcoming live-action version of Mulan, Utkarsh played it cagey, citing his obligations to the House of Mouse as the reason for his silence. However, he was quick to talk about his upcoming musical project, Vanity, and its themes of race, Hollywood, and social media. While Vanity certainly showcases The Problem with Apu star’s ability to rap, Utkarsh also got by with a little help from his friends. He originated the role of Aaron Burr in the developmental readings of Hamilton, and as such, formed a friendship with Lin-Manuel Miranda, who appears on the track “Rufio.” As a special treat, Dante Basco — the actor who originated the role of Rufio in the film, Hook — also appears on the track. Other special guests include Daveed Diggs of the experimental rap group Clipping, who puts in an appearance on the title track alongside Diggs’ Blindspotting co-star, Rafael Casal (who was also featured on HBO Def Poetry Jam three times). But Utkarsh is most excited about the track, “Kane,” which gives him the opportunity to reunite with Beatards compadre Chuck Wild. And Utkarsh — who cites KRS-One, Slick Rick, Andre 3000, and Black Thought amongst his influences — says that this isn’t the last time he’s going to be in the booth. Though he’s got some film projects to knock out, first — including Brittany Runs a Marathon, which will be featured at Sundance this year, and features his original music — he’s anxious to get back to his roots whenever he can.